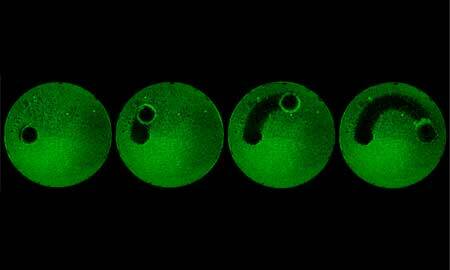 Researchers 3D print microbe-killing robots for biofilm elimination. Assembling a microrobot used to require a pair of needle-nosed tweezers, a microscope, steady hands and at least eight hours. 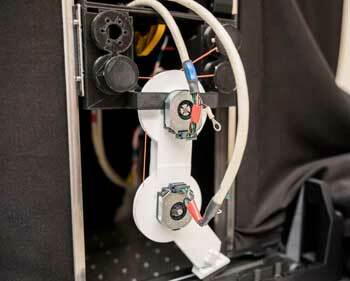 But now researchers have developed a method that requires only a 3D printer and 20 minutes. 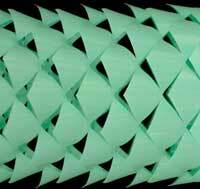 Programmable kirigami metamaterials enable responsive surfaces and smart skins. 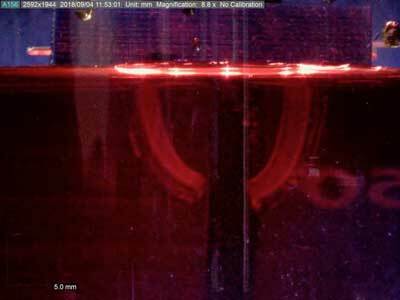 Model improves a robot's ability to mold materials into shapes and interact with liquids and solid objects. 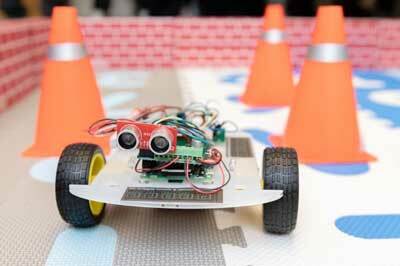 Robots can change directions, speeds and even their colors. But what about changing their shapes? With help from a sculptor's intuition, researchers are on it. 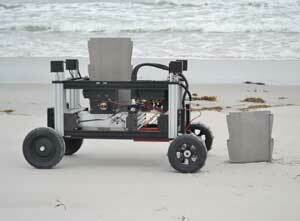 Sheet pile driving robot autonomously builds erosion barriers from interlocking metal sheets in natural terrain, and robot swarms could be developed to protect threatened areas. 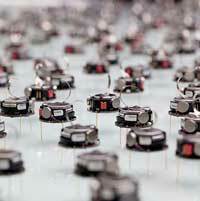 Studies on the collective behavior of a swarm of land robots showed that a specific number of interactions among units is required to produce an optimal collective response. Using a new type of dual polymer material capable of responding dynamically to its environment, researchers have developed a set of modular hydrogel components that could be useful in a variety of soft robotic and biomedical applications. Through an imaginative experiment, researchers were able to get two extremely different animal species located far apart to interact with each other and reach a shared decision with the help of robots. 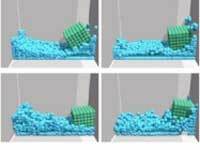 Researchers create new kind of robot composed of many simple particles with no centralized control or single point of failure. 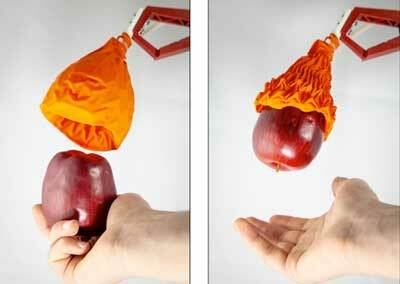 Gripper device inspired by 'origami magic ball' can grasp wide array of delicate and heavy objects. 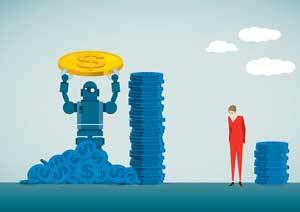 Researchers have found that when robots are beating humans in contests for cash prizes, people consider themselves less competent and expend slightly less effort -- and they tend to dislike the robots. 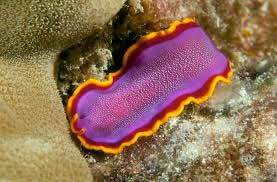 Frilly surfaces that help slugs move may motivate future energy-efficient, soft-body robots. 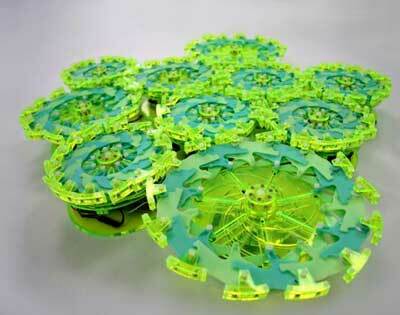 The goal of this lab is to create small, lightweight robots that can reconfigure themselves in response to a need. 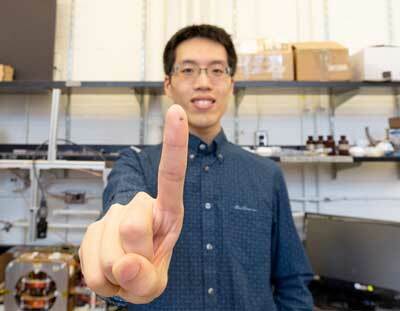 An ultra-low power hybrid chip inspired by the brain could help give palm-sized robots the ability to collaborate and learn from their experiences. 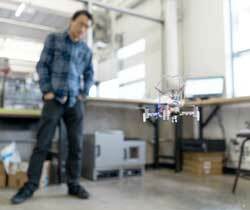 Combined with new generations of low-power motors and sensors, the new application-specific integrated circuit (ASIC) - which operates on milliwatts of power - could help intelligent swarm robots operate for hours instead of minutes.